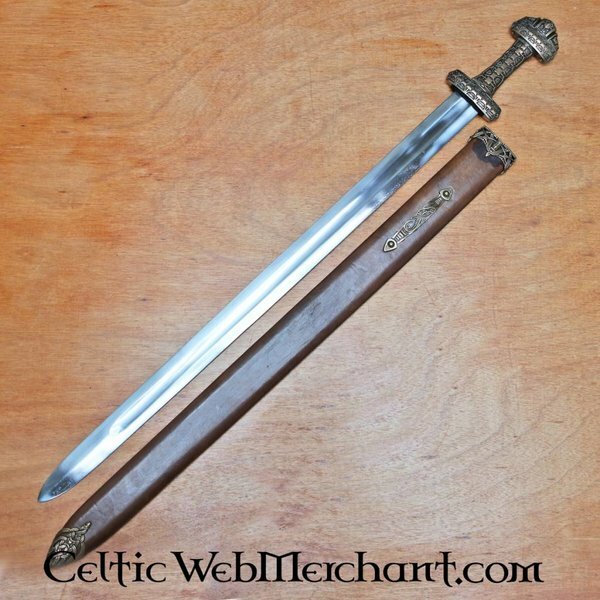 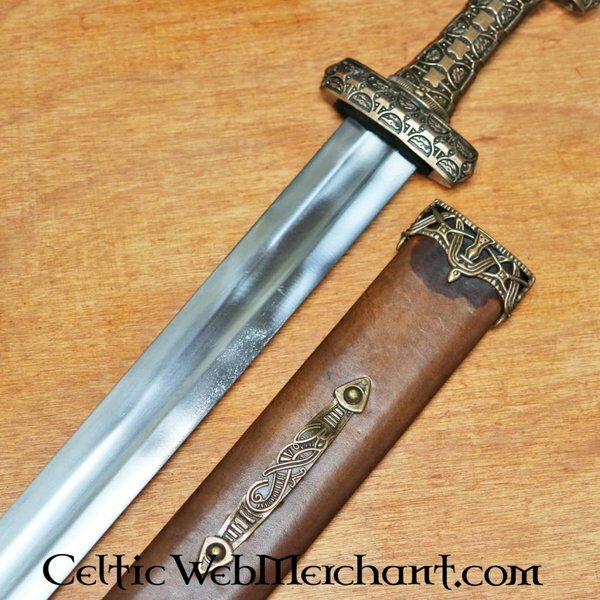 This Viking sword is a replica of an original from the 9th-10th century found on the isle of Eigg, Scotland. 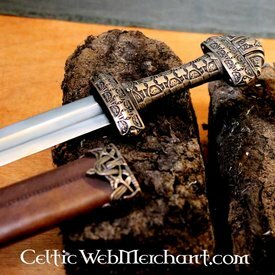 The isles of the Hebrides were an important base of the Vikings and were a part of the kingdom of Norway up to the 12th century. 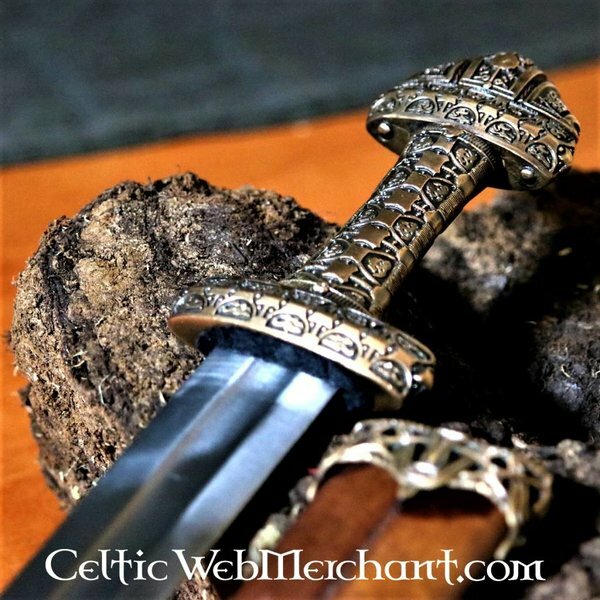 The Norse Vikings mixed with the Gaelic population. 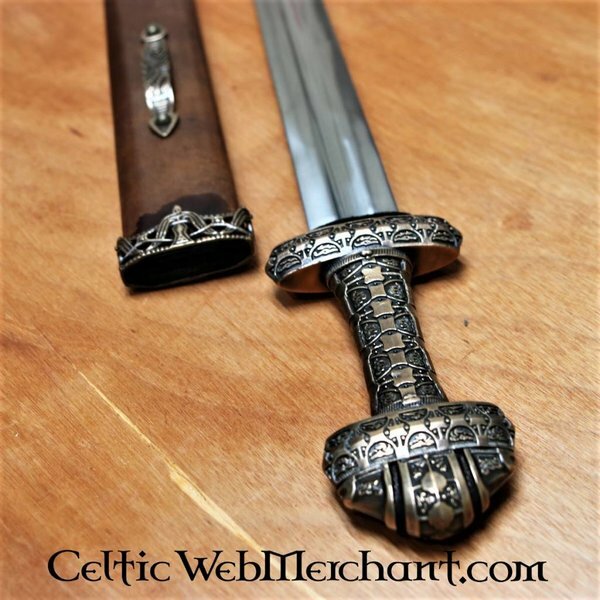 This luxurious sword is not unique. 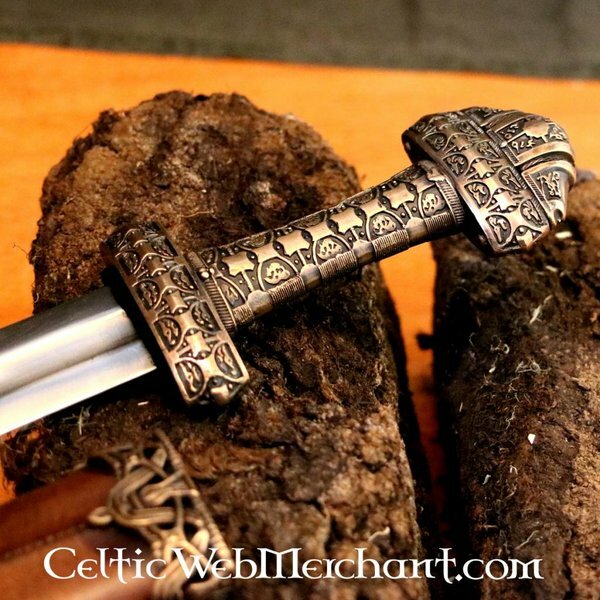 Similar decorated swords were found all over the Viking area. 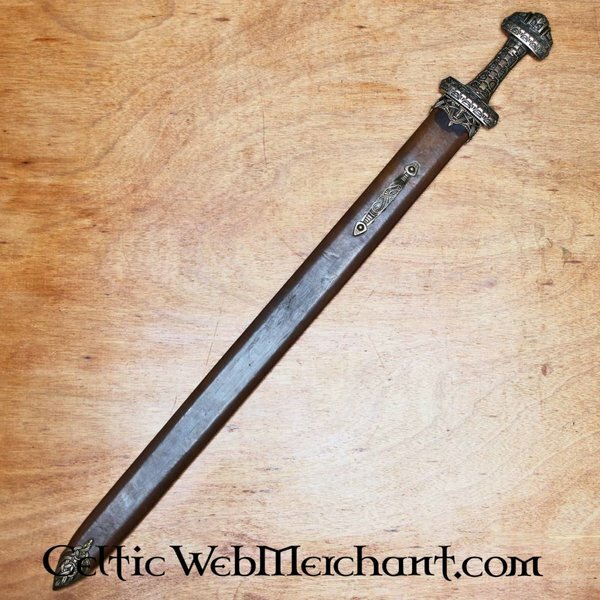 This Viking sword has a thin blade with a wide fuller. 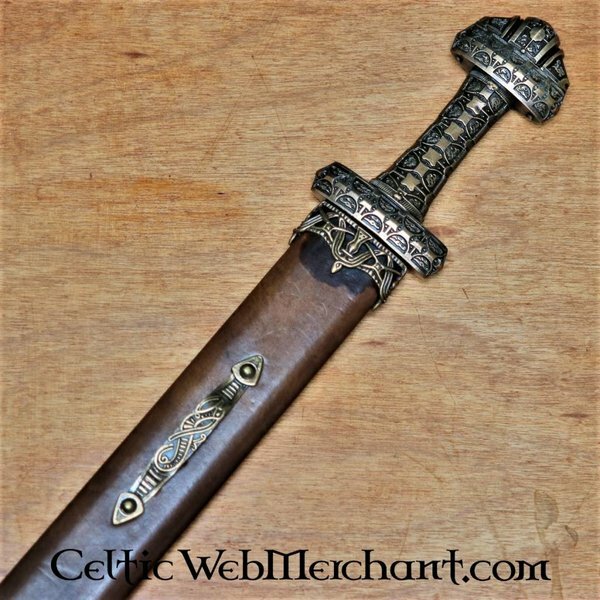 The guard and grip are made of bronze and are richly decorated. 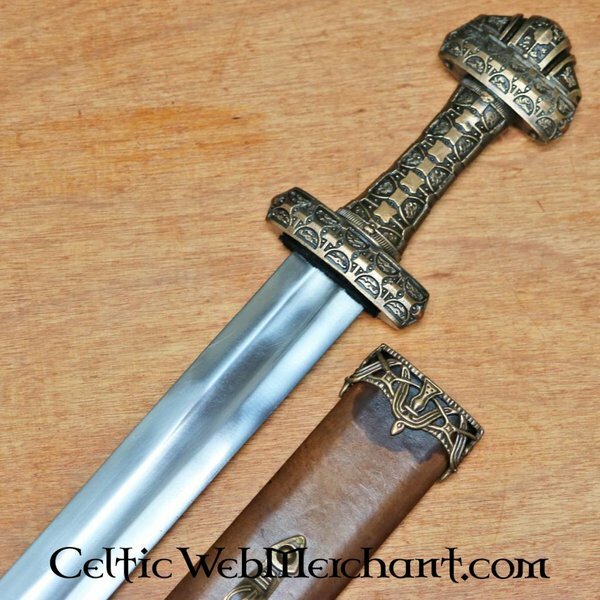 The sword is delivered including scabbard.